We all know that the small routines and habits that make up our daily lives affect a family's overall well-being. So why is it so hard to, say, go to sleep early enough, exercise regularly, eat enough spinach and get off the iPhone once in a while — even though we know it will make us happier? And why is it hard to instill positive habits in our kids? 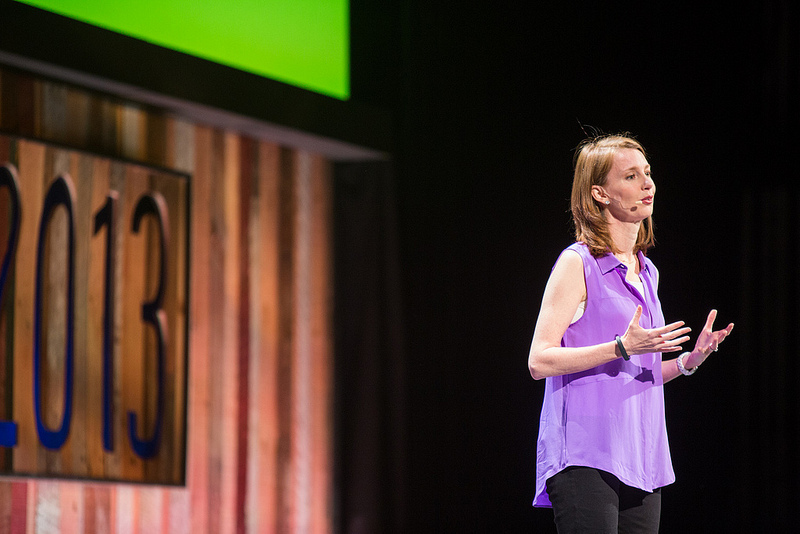 Author Gretchen Rubin has been studying the science of happiness for more than seven years as documented in best-selling book The Happiness Project, the follow-up book Happier at Home and on her podcast "Happier." She's now turned her curious gaze to the power of habits, which she calls "the invisible architecture of daily life." Using her circle of friends and family as guinea pigs, she began questioning and experimenting: What motivated different types of people to form positive habits? Which strategies were most effective for whom? How could people harness self-knowlege to further their life goals? 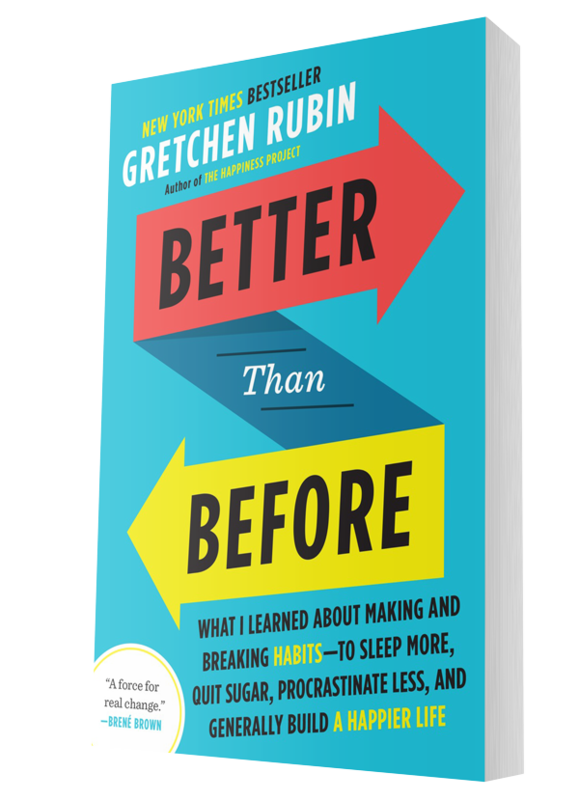 The result is the intriguing Better Than Before, a highly practical addition to the literature on habits. The foundation of the book is the premise that people respond to expectations in four different ways (see sidebar); once you understand your tendency, it's easier to identify effective strategies for forming positive habits. Rubin will appear at Town Hall Seattle on Thursday, Oct. 13, 2016, in a live broadcasting of her Happier podcast with her sister, screenwriter Elizabeth Craft. Rubin shared some of the book's highlights — especially as they relate to families — in a recent phone interview with ParentMap. What do habits have to do with happiness? I found myself increasingly drawn to trying to understand the role habits can play in being happier and healthier. For a huge number of things that people want to do it really helps to harness the power of habits. What are one or two habits that a family could adopt to become more connected and happier? One is to give warm greetings and farewells. You’re so much more connected to each other and it’s really easy to do. You can get in the habit really quickly. Aonother one is to really think about the morning. The morning sets the tone for the day. Maybe you need to get up 20 minutes earlier so you have a lttle more margin. [And if] there's a morning person and a night person in the couple ... Let the night person sleep. Let them do something at night when you're tired and they're more energetic. Think about what’s the best use of everyone's time and energy. I used to think everyone could be a morning person if they got to sleep early enough but it's not the case. I can't stay in bed late but I have a lot of sympathy for the night people. Rubin, as outlined in Better Than Before, believes that people fall into one of these four categories, in terms of their response to others' expectations. Questioners: question all expectations; they’ll meet an expectation if they think it makes sense. What are some tools for helping kids build positive habits? Anything you want your child to want to do make it as convenient for them as possible. If you want them to hang up their coats, make sure you have hangers or hooks. You can totally transform your house by putting things on hooks. If you want your kids to practice violin, have everything set up so it's easy for them to sit down and practice. Make it as easy as possible. But should we make it easy for them? We also want to teach them to be responsible, right? That's the thing: You can often have two goals that are both important and they're kind of in conflict and you have to think it through. Is it more important to have your daughter practice violin or more important to teach her to always put things away, at this moment? It's your call. Anything you want someone to do, even the tiniest change in making it more convenient has a dramatic effect. If your kid is constantly into the cookies, put them on a high shelf where he or she will have to drag a chair over [to get them]. Don't make it easy to have that cookie. Hmm, how do we use this to discourage habits we don't want, like too much screen time? Habits are extremely catching, for good and for bad. So if you want your children to have a habit, the first thing you should do is have that habit yourself. If you want your kids to get up and around in the morning, you get up and around in the morning. If you want them to eat breakfast, you eat breakfast. If you don't want them to leave trash in the car, you don't leave trash in the car. If you don't want them to be on screens, get off screens yourself. Another example: I go to bed pretty early. The atmosphere of your house hold changes when one person starts to go to bed or starts getting ready for bed. Everything starts to move in that direction. How do extremely different temperaments within a family affect our collective happiness and what are strategies to attain family harmony despite those differences? That comes up a lot. It's really helpful to understand how different people see the world differently. Our belief is that other people see the world the way we do and this is 100 percent not the case. For example, if you're dealing with an Obliger [one of four tendencies Rubin outlines in her book; see sidebar] there has to be outer accountability. That's crucial whether they're a child or adult. And people with other tendencies don't really understand that. And I say that as an Upholder who was mystified why people were asking for accountablity. One of the things I talk about is abundance lovers vs. simplicity lovers. Simplicity lovers love bare surfaces, clean shelves, not much on the walls, not many choices, serenity. Abundance lovers like profusion, stuff happening, lot more stimulation. You might say [to your child] 'How can you keep your room like this?' [But, the thing is, it works for your child]. Many of our readers are harried parents who often feel like they have no time to adopt positive habits. What are a few habits that have exponential benefits for families? Start with foundation habits. Getting enough sleep, getting some exercise, making sure you're not getting too hungry. For most people, uncluttering. Most people feel calmer and in command when they're in an orderly environment. How can parents adapt some of your learning for their kids? If your kid's tendency is obvious, take it into consideration. If they keep asking you why they have to do something, they're probably a Questioner. If they do everything on their own, rather than patting yourself on the back and saying it's because of your excellent parenting skills [realize] they were probably born that way. If you have a Rebel child, it's good you know that because you'll probably treat that child very differently. The accountability structures that work well for the Obliger child might be counterproductive for your Rebel child. This is what works with the majority of Rebels: information, consequences, choice. Give them the choice and the information they need. Let's say you want your kid to wear sunscreen: You say if a person goes outside on a sunny day, he's going to get a sunburn. A sunburn really, really hurts. Do you feel like wearing a long sleeve T-shirt and baseball cap or do you feel like wearing sunscreen? Information, consequences, choice. In The New York Times, Hanna Rosin criticized the approach of Better than Before by implying that it could turn us into automatons. What’s your response to that? Well, I think it’s absolutely right and I talk about it in the book. One of the dangers of habits is that it can speed [up] time because when everything happens the same way, time speeds up and you want time to feel rich and interesting. It can dull sensation, which can be good. If you're scared, the more you do it your anxiety drops. You just get more used to it. Conversely, if there's something that's a pleasure, like that morning cup of coffee, you start not to notice it. But I think it's less of a concern than people think. I run into more people that are trying to make a habit than people who are like 'Gosh darn it, here I am running six days a week and I wish I could back to four.' Doesn't happen that much. How can you use the power of habits to do the opposite of numbing sensation — to make life richer and more interesting? Well, it's whatever you want. You have to be like, 'What would make my life richer and more interesting?' Would you like to rent a classic movie every Sunday night? Would you like to take a yoga class every Saturday morning? What do you want to be doing?